Research within the Health and Wellbeing theme explores how health initiatives can prevent disease and illness, encourage healthy lifestyles in individuals and communities, and reduce the cost and impact of illness. We take an integrated approach to health research. The environments in which we live, the cultural background from which we come, and the work we do all affect our physical and mental wellbeing. And, despite continuous improvements in medicine and medical care, the need for healthcare is growing. One in four children are overweight or obese. While the amount of Australians smoking has halved since 1991, 12.8% of Australians still smoke. Almost one in five people consume alcohol in such a way that it puts them at risk of an alcohol-related disease or injury. Health and wellbeing are linked. Western’s effective, research-led interventions focus on the complex factors contributing to health outcomes. Western has research expertise across a range of health and medical research specialisations, from e-health service delivery and reaction chromatography diagnostics to translational cancer research and sports science. The NICM Health Research Institute conducts world-leading research into complementary therapies, bridging the gap between these widely-used therapies and evidence of their effectiveness. The Translational Health Research Institute (THRI) conducts research into chronic disease, mental health, Indigenous health, human geography and health services bringing together leading researchers who are oriented to the translation of research into community health services and policy, and concerned with the needs of the individual within a complex health system. Western Sydney faces an epidemic of diabetes. Western Sydney’s diabetes hospitalisations are almost twice that of the rest of Sydney. In the health districts of western Sydney over half the population is overweight or obese. 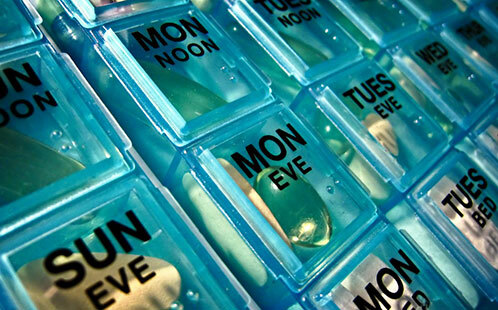 Diabetes costs the Australian health system around six billion dollars every year. Interventions that lower rates of illness and reduce costs here in western Sydney, the diabetes frontline, will work Australia-wide. Professor David Simmons and a team of researchers from the University are working with clinicians from hospitals and general practices across western Sydney to end the epidemic. Their goal: lower rates of diabetes in western Sydney through initiatives to prevent obesity, diabetes and associated complications. David and the team are taking a threefold approach. Prevent diabetes in relation to other illnesses and conditions, including pregnancy, retinopathy, nephropathy and cardiovascular disease; educate health professionals in diabetes management; and support those with the illness to self-manage. One project—Reducing the Impact of Diabetes in the Samoan Community—is supported through the University’s Translational Health Research Institute (THRI). David is working with the Samoan community’s church network, Local Health Districts and Primary Health Networks to reduce the diabetes epidemic in this community. 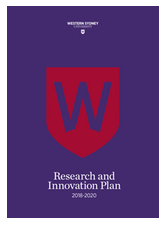 White Paper funding scheme: This scheme was launched in 2017 to: raise the profile of the distinctive capacities of the University’s health and wellbeing research; bring together interdisciplinary and cross-sector teams to work collaboratively; and position these teams to work with a broad range of stakeholders and attract external funding to tackle complex health and wellbeing issues. Seven White Papers have so far been funded (five in 2017 and two in 2018) through this scheme. The teams have so far produced strategic papers that will be used to market health and wellbeing research at Western Sydney. As part of an ongoing strategy, the Health and Wellbeing Research Theme is also working with Advancement and Alumni, REDI, THRI and Marketing and Communications to help raise the profile and position this research for external funding. Health and Wellbeing Theme Storm: The Health and Wellbeing Theme Storm identified current and emerging research strengths at the University. The event was a key opportunity to bring external stakeholders together to showcase the work of Western Sydney researchers and define a clear strategy for the Theme. The Theme Storm directly informed the development of the Health and Wellbeing Advisory Panel and the Health and Wellbeing Research White Paper funding scheme. Capacity Building Workshops: These workshops aimed to build capacity in collaborative and participatory research. The workshops focused on techniques to enhance interdisciplinary and participatory research practice to foster the best possible uptake and real world impact, and prepare research teams to work in interdisciplinary and cross-sector settings. Consumer Engagement Framework: The Health and Wellbeing Research Theme will be developing a Consumer Engagement Framework that will support and inform Western Sydney researchers in how best to engage with health consumers for research, professional training and advocacy. A partnership with Health Consumers NSW is being explored to inform this framework. The framework is currently in its embryonic stage, but is a key future initiative of the Health and Wellbeing research theme.